On a flight to London before the holidays, I decided to use the time to write about managing people. I thought it would be timely, since many of us are writing performance appraisals and/or doing year-end organization reviews at this time of year. Over my career I’ve seen the whole gamut of how companies administrate their human resources. As a new hire at Toyota I was required to read 35 books, on subjects ranging from the Toyota Production System to how cultivating a rice paddy symbolized Japanese culture. We were tested on our comprehension of these books and then sent to Japan for further training, all to make sure that we understood our people. At the other end of the spectrum I was once thrust immediately into drinking out of the fire hose, given no New Hire orientation and having no idea what the definition of success was, where we did business or who the players were. As I look back, the most humorous — as well as tragic — part was that I didn’t even know how to change the voicemail on my phone from its previous owner (who I later learned had been fired). It was sink or swim on your own, coupled with a target on your back and a whole host of people around the world that you didn’t know. I’ve also seen a wide array of boss types, including the smooth and consummate gentleman; the pure politician; a couple of tyrants who managed up and kicked down; a servant leader; and a genius who was probably insane. Managing people is like parenting. You have role models who you try to emulate and you have jerks with whom you never want to be associated, ever again. As you know, People, Process and Tools has been the foundation of my cash to cash method, and my formula for success. In this equation, “people” are equal to 60% of the solution to any problem. When we look at cash management, properly managing human resources can help create a productivity machine and make a business wildly successful. By contrast when this vital resource is improperly handled, the entire organization can end up drained of time, money and manpower. It’s truly bizarre that businesses so often fail to protect their most precious asset – their people. As managers, we’re driven by the numbers: the infamous 4 Block or 9 Block, the bell-shaped curve, or getting our bosses to approve the department’s compensation plan. We’re required to manage up but often simply forget to thank the people below who have spent a year of their life helping the business run. The following are my thoughts on how to manage a business’s most important asset – its people. A business is not just a ‘for-profit’ enterprise: it also bears a social responsibility to its customers, employees and the community to make quality products at reasonable prices. It is not its facilities, machines and capital that build its products, but its people who actually perform the work. All companies have a core set of values. An organization’s values must be authentic and fully supported by its senior leadership team, otherwise people won’t follow. It is critical that employees grasp these values and actively work to put them into practice. They must be expressed and modeled repetitively in order to become successfully sustained and integrated into the culture. Attaining business results revolves around the alignment of a business’s values and principles between the individual employee and the organization. For example, at Toyota everyone from those in the Boardroom to the assembly line understands the company’s core values and fundamental principles. They stress the importance of keeping a proper balance so these standards can be equally applied in all circumstances. Getting a corporate culture to adopt a strategy takes a greater effort than the act of designing and executing it. In a global organization, areas like languages, native customs, skills, etc. can have a profound impact on the success or failure of a program. Operations can have world-class processes and tools but be failures at sustaining improvements if they fail to take the time to fully bring their people along. Making things more difficult, the bureaucracy often works very hard at not changing. People become comfortable with the way they are performing their job, and afraid that change will have a negative impact on their lives. In some cases they have developed a power base around the process to be changed and have ulterior motives for preventing improvements. Managing the people aspect of a business is a vital part of achieving desired outcomes. It is necessary to emphasize areas such as Leadership, Organizational Effectiveness and Continuous Improvement in order to achieve and sustain a successful business strategy deployment. A business strategy deployment is an integrated approach to driving organizational development. It focuses on the business’s objectives and goals, concentrating on employee engagement and continuous improvement to assure a process is sustainable. Prioritizing: Critical business objectives are developed and prioritized, flowing from the business leadership to the point of execution. 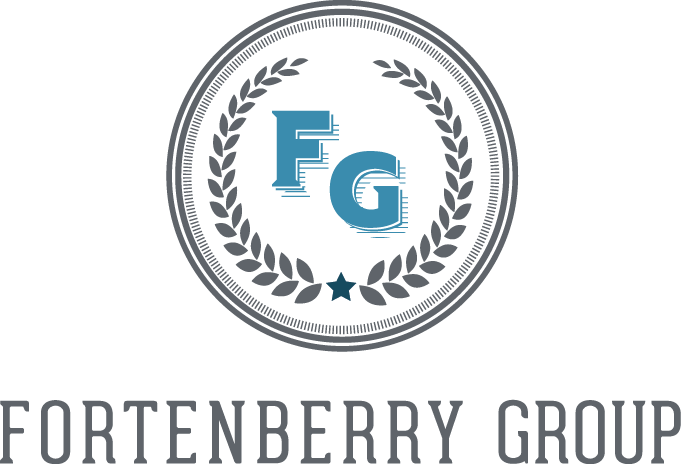 Alignment: All functional areas are clearly aligned with the goals of the business. Precision: Assures a disciplined management process that integrates the business’s objectives and annual goals are developed, communicated and measured through all levels of the organization. Accountability: Insures that the responsible functions drive accountability for achieving the objectives and annual goals. Additionally, the focus is to integrate all functions into moving in one direction. Managing across regions, cultures and functions can provide extra challenges towards maintaining these values, principles and systems. A manager needs to be able to clearly convey roles and responsibilities while attempting to give some local latitude to how they are executed. These three methods of managing human resources provide the best balance of managing both the behaviors of and results for the organization. The old saying, “What gets measured gets done,” is absolutely applicable in setting and measuring goals for employees. When executing a business strategy, it is imperative that goals are set and quantified from the outset. This keeps a proper focus and prevents conflicting objectives from encroaching and competing for resources. Part of a successful employee retention process is a continuous conversation between parties on the performance of the business relative to its goals and objectives. A regular one-on-one dialogue should exist between a supervisor and their associates throughout the course of the year. Doing so allows behavior to be managed before evaluation time: with false positives/ negatives having been identified throughout the year, the conversation simply confirms the previously expressed insights. This also empowers the employee to reach their full potential. Another highly effective development tool is the 360-degree evaluation process in which customers, peers and subordinates are asked about the behaviors of a leader. Successfully internalization of this feedback provides the leader with greater knowledge of how to be more effective in driving the business’s values, principles and management systems. By executing these methods of evaluating performance, a business can insure that there is a proper balancing of behaviors that get the results. You can’t play the game if there’s no team on the field, so recruiting a team should be a manager’s first priority. When executing the business strategy, a diverse mix of both seasoned veterans and youth from college campuses adds a fresh and dynamic approach to solving problems. Additionally, it is vitally important that the people you recruit fit in with the values, vision and goals of the organization. Hiring correctly the first time is essential for driving and sustaining improvements. The costs of recruiting the wrong employee include hiring expenses, total compensation, severance pay, and legal fees. Experience shows that every time a business replaces a salaried employee it costs 6 to 9 months’ salary. In order to execute the business strategy with speed and agility, a business must nurture its talent. There must be a keen focus on organizing the best people in the right way and giving them opportunities to grow and develop. Strong leaders understand that actively developing their people should be part of their daily routine. The most effective development process is to learn the job at the worksite, with the instruction of the employees who understand the job the best. Development by on-the-job training raises everyone’s abilities and produces better quality and greater efficiency. This creates a commitment from one to another to execute properly. Part of the reason that cash-strapped businesses often hesitate to hire new employees is the actual cost of hiring. It’s easy to forget that an employee’s cost is more than just their salary. The average cost of recruiting, hiring and training a new employee is estimated to be $4,000. This means that preventing employee churn and strengthening employee retention is imperative to managing cash. Providing clarity of roles and responsibilities is essential to employee retention and drives business performance. Goal alignment enables employees to focus on their objectives for achieving results. Additionally, it drives the development of appropriate skills and removes ambiguity. It provides a clear understanding of the expectations for both the associate and the organization. Building cross-functional teams helps align the entire end-to-end process to execute the business strategy. 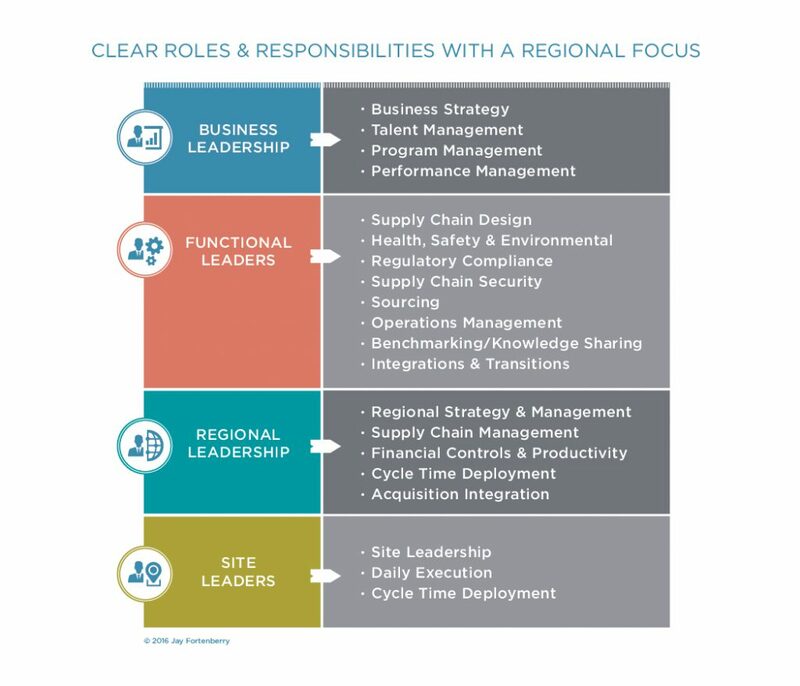 By aligning functions a business can further develop its organizational capabilities in areas such as leadership, productivity and operating expertise. Finally, providing people opportunity to grow and learn, which doesn’t necessarily mean spending dollars (or cash), should be a part of all employees’ performance development review. A leader drives changes in the way people think, work and act. They create and set the expectations which ultimately shape the culture. Leaders step up in times of crisis and think or act creatively in tough situations. Servant leadership is an ancient philosophy and set of principles that is still practiced today. Traditional management revolves around the accumulation of power at the top. Conversely, a Servant Leader shares power, puts the needs of the organization first, and assists in developing their teams’ skill sets in order to perform at the highest possible capability. They are comfortable in their own skins and recruit a team that is smarter than themselves. A leader is not a bully or a coward and does not act passive aggressively towards their team. They make people better by building a safe workplace, nurturing the team’s growth and taking responsibility for their actions. They are fully engaged in the activities they are responsible for and encourage experimentation: they celebrate success and empower employees by giving up control. Leaders are role models whose primary task is to coach, counsel, train and provide the necessary resources for their organizations to meet the business objectives. On my recent trip to London I had the chance to meet up with an old friend who I’ve always thought of as the best Human Resources leader I’ve ever known. Steve Foster is currently Director of People and Organization at St John Ambulance. Prior to working there, he was the HR Leader for a multi-national firm where we worked together, attempting to do the right thing with an organization that literally had tentacles all over the world. We were required to design programs to fit different cultures, geographies and circumstances. The case study below is from the nonprofit where Steve now works in the United Kingdom.  Its roots literally date back a thousand years — that’s a long time for a company culture to evolve! I thought it especially pertinent, as he is facing the very real challenge of blending an organization made up of both volunteers and paid staff. St John Ambulance is the UK’s leading first aid charity. It can date its lineage as far back as the year 1080 when it established a hospice in Jerusalem. This non-profit organization is supported by over 4,000 salaried employees and 30,000 volunteers whose mission is to provide efficient and effective first aid training to local communities and at public events, such as the London Marathon, pop festivals, and sporting events. St John Ambulance’s vision is: Everyone who needs it should receive first aid from those around them. No one should suffer for the lack of trained first aiders. 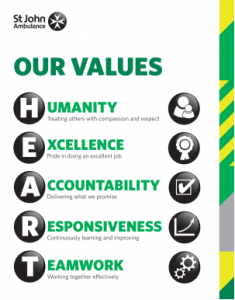 Their corporate values spell HEART, as people are at the heart of St John Ambulance. Although St John Ambulance has roots dating back a millennium, they have been able to transform themselves into a vibrant twenty-first century organization. So how exactly does St John Ambulance deliver this vision – with its set of core values – with only a small paid staff and a large number of volunteers to over 30,000people annually? As one might expect, managing and supervising First Responders is far more challenging than building an automobile, thermostat or security system. This is literally a life-or-death scenario every day, where Six Sigma is totally unacceptable. It started by establishing leadership competencies for each layer of the organization based on their corporate values of HEART. These competencies are defined for everyone — from the CEO to a manager, including First Responder volunteers. This set of required skills describes the behaviors that should be displayed, as well as those that should not be displayed, at each level of the business. These competencies are presented in combination with each position’s description in order to provide a full picture of how each individual is meeting the requirements of their role. They go on to affirm that the incumbent in each role should be able to demonstrate the ability, not only for their own level but also for the people that work for them. The supervisor then reviews any applicable regulatory training requirements, as well as each of the competencies for the position. The employee’s strengths are identified as well as their developmental needs, with actions, timing and necessary required management support. This completes the overall assessment for the employee. It’s a very simple but direct method of managing people across regions, functions and abilities. 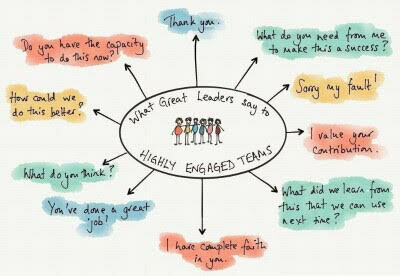 As managers, how often do we think about our team in this manner? My guess is that the answer is probably too seldom.